What is Riverside and why are we purchasing it? 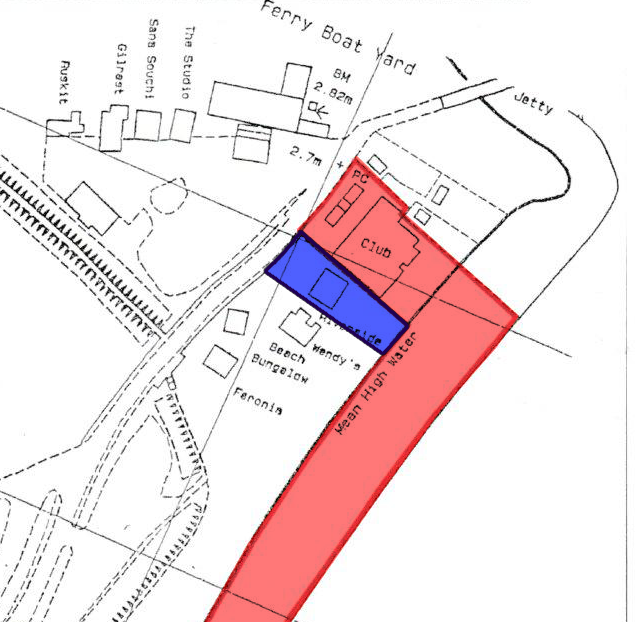 For those of you who were unable to attend the EGM on Sunday 12th March, we thought it might be helpful to explain that Riverside is the plot of land adjacent to the Clubhouse on which sits our Classroom, Beer patio, RIB storage, Tractor storage and drainage system (purple in the image below). We have leased this land for many years but have now been granted the opportunity to purchase the freehold for £100,000 and thereby secure the future of this parcel of land for the Club. More importantly, this will provide an enhanced profile for Grant Applications to help finance future development of the Classroom and storage facilities. The Members’ vote at the EGM sanctioned this investment and we are now appealing for donations and interest free loans. Please CLICK HERE to find the Donation Loan Form. Following agreement at the EGM on Sunday 12th March to purchase the freehold of Riverside, the General Committee would like to invite donations and interest free loans from the membership to assist with realising this project. Please CLICK HERE to find the Donation Loan Form. A business-to-business loan has been agreed to cover the shortfall and we have a projected completion date of Friday 9th June 2017. Please contact either Robert Wright (foggs@fsmail.net) Paul Baskerville (phbaskerville@yahoo.co.uk) or Colin Lister (Fazeboons@aol.com) to confidentially discuss any further questions you may have. We are now in the process of purchasing Riverside and have an urgent need to raise funds not only for repaying these loans but also to rebuild the Classroom and finance other Club projects. If you are able to assist, please contact Colin Lister in the first instance on Fazeboons@aol.com or phone 01394 276244.